If you're interested in upgrading your garage walls, the local experts at Total Basement Finishing by Energy Swing Windows are here to help! We provide free estimates on EverLast Garage Wall Panel installation in Pittsburgh, Monroeville, Bethel Park and nearby, and we can help you get the right solution for your home. Call us today at 1-844-385-7796 or click below to get started! 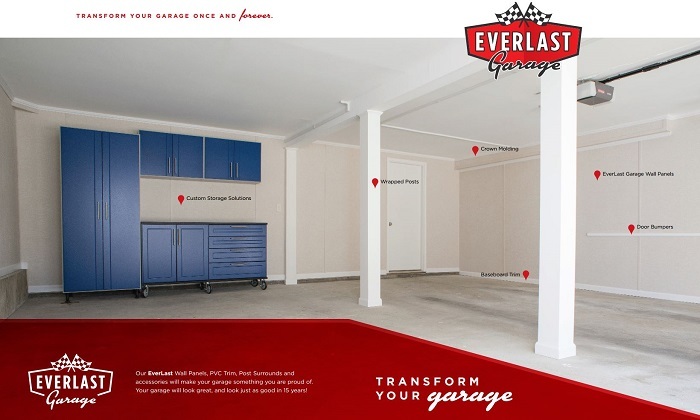 If you're looking for a long lasting solution for your garage walls, EverLast Garage Wall Panels from Total Basement Finishing by Energy Swing Windows are the solution you need. These panels provide everything you need for your garage, including durability, optional insulation, and a great finished appearance. If you're interested in EverLast Garage Panels for your home, call us today at 1-844-385-7796 or contact us online to get started! We offer free estimates on all our work in Pittsburgh, Monroeville, Bethel Park, Johnstown, Greensburg, West Mifflin, Cranberry Township, Gibsonia, Allison Park, Mc Kees Rocks and throughout the surrounding areas.